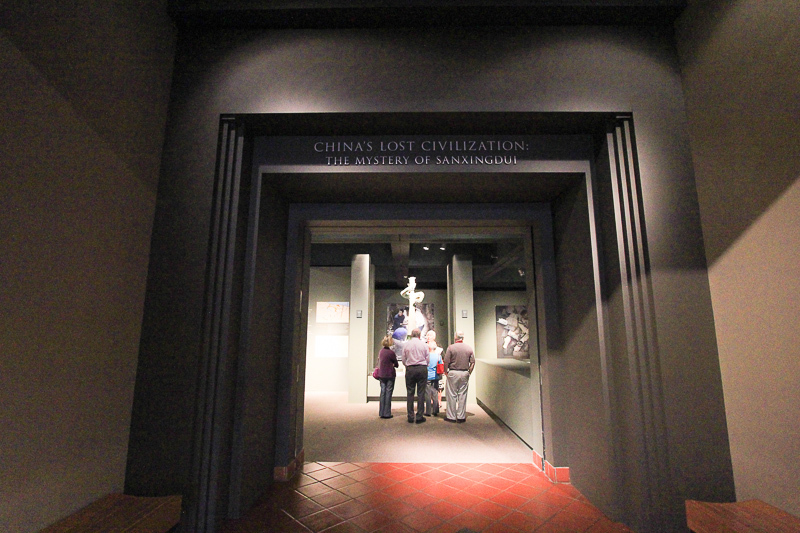 November 12, 2014 - Today we visited the Bowers Museum to see their new exhibit, China's Lost Civilization: The Mystery of Sanxingdui. 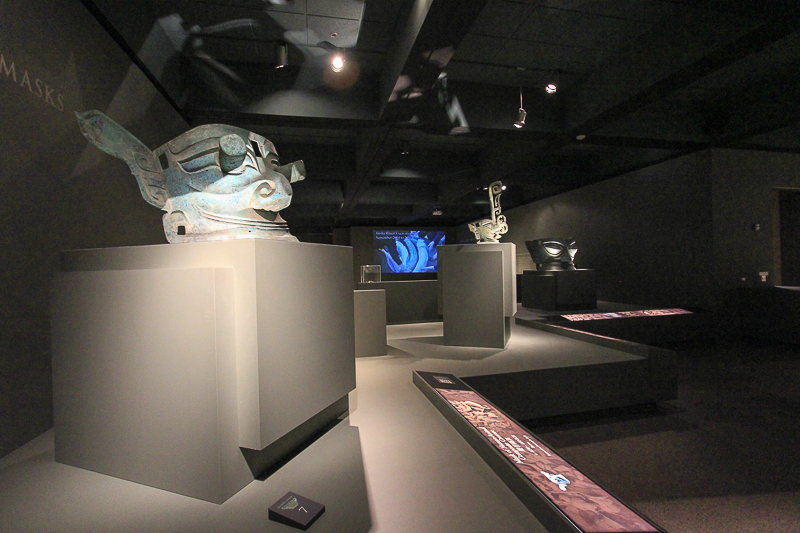 Sanxingdui is the site of a major ancient Chinese city in what is now Sichuan, China. 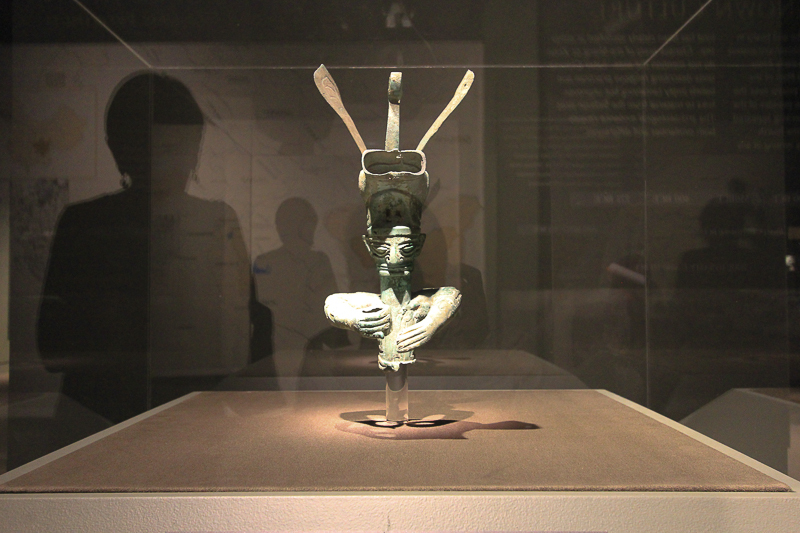 The Bronze Age culture which inhabited it was re-discovered in 1987 when archaeologists excavated remarkable artifacts, that were radiocarbon dated as being from the 12th-9th centuries BCE. 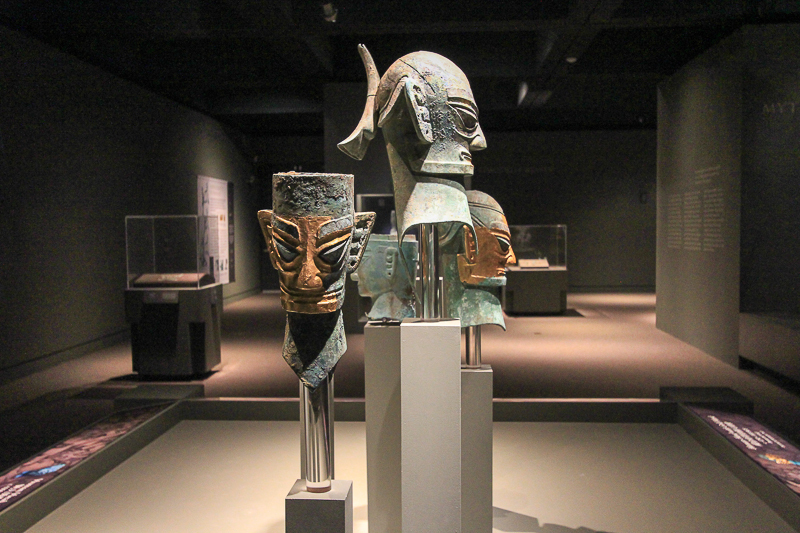 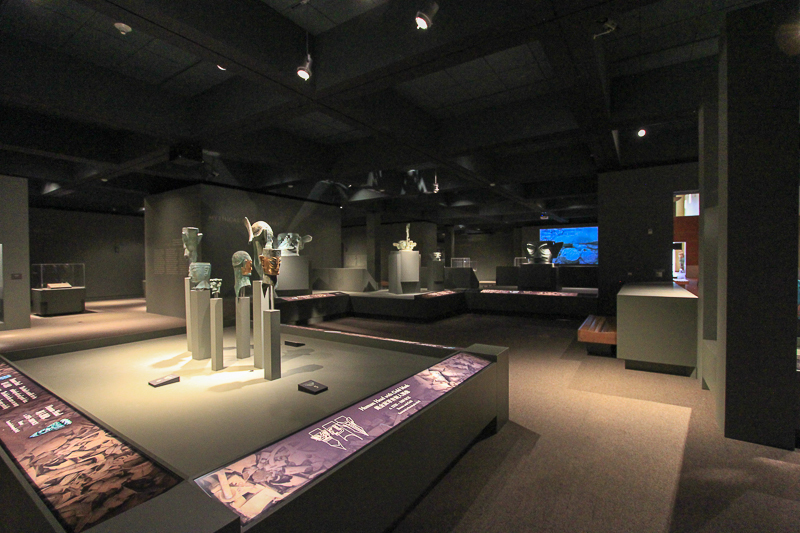 However, of all of the artifacts discovered; none are marked with characters, there are no texts that have been unearthed and there are no historical records of the Sanxingdui culture in the annals of nearby areas, casting a cloud of mystery over the entire site. 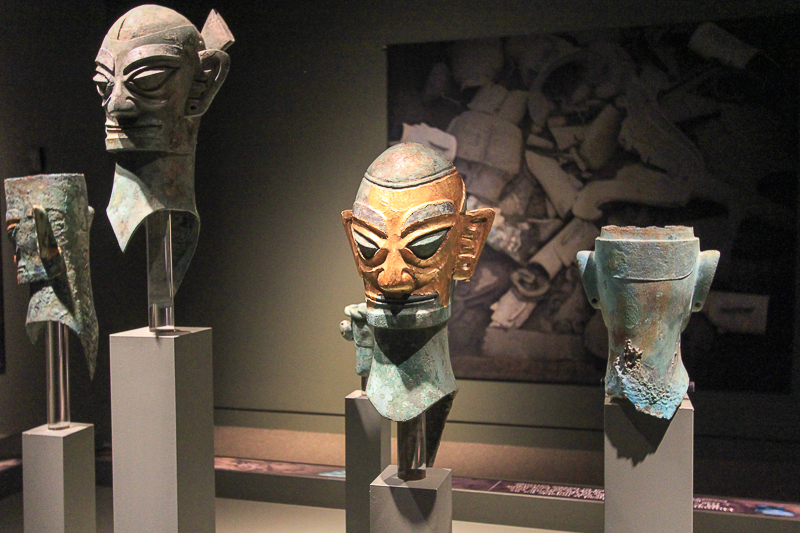 The Sanxingdui culture abruptly vanished after 350 years. 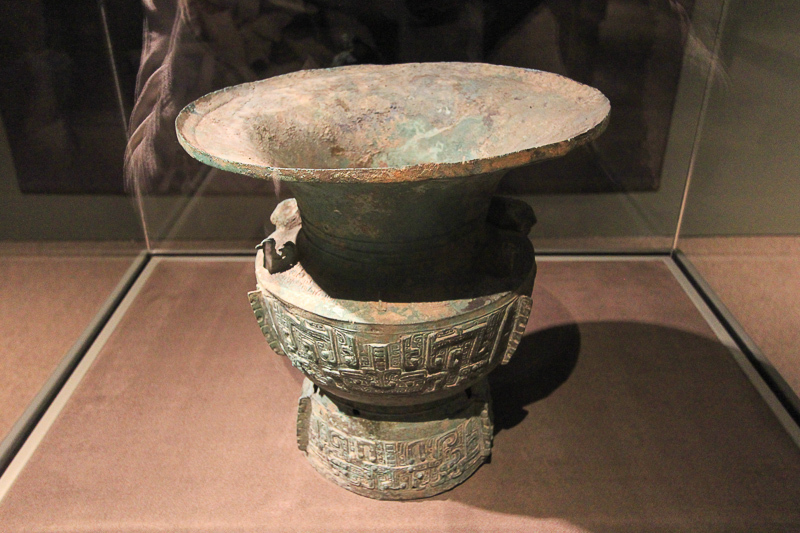 Who were the Sanxingdui and where did they go? 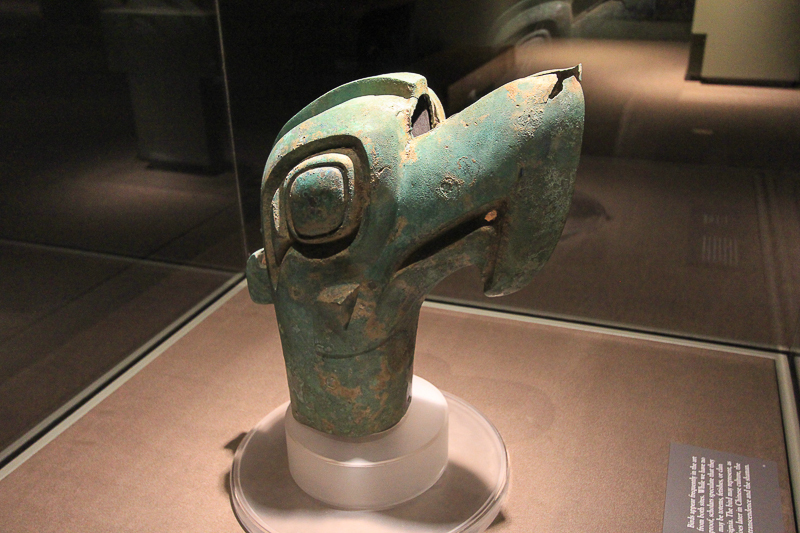 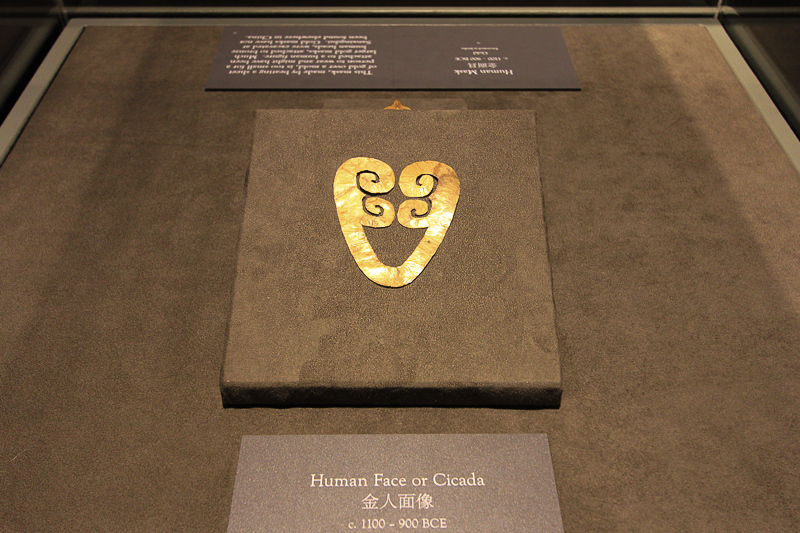 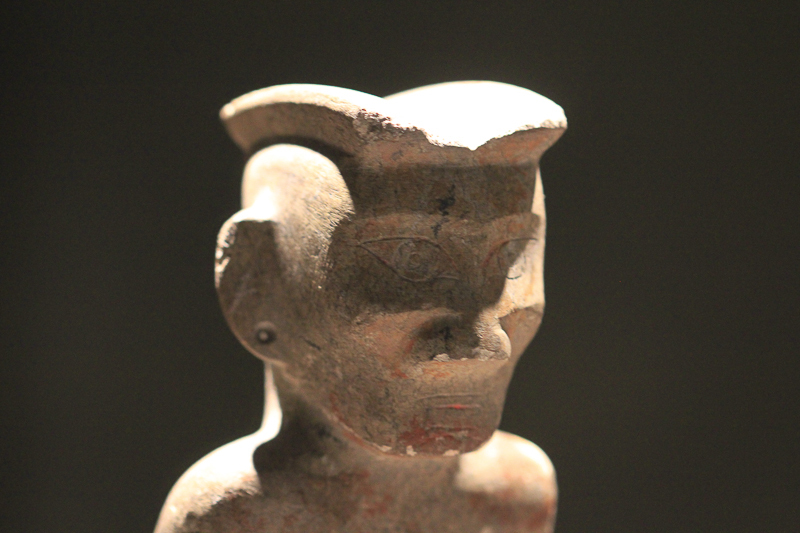 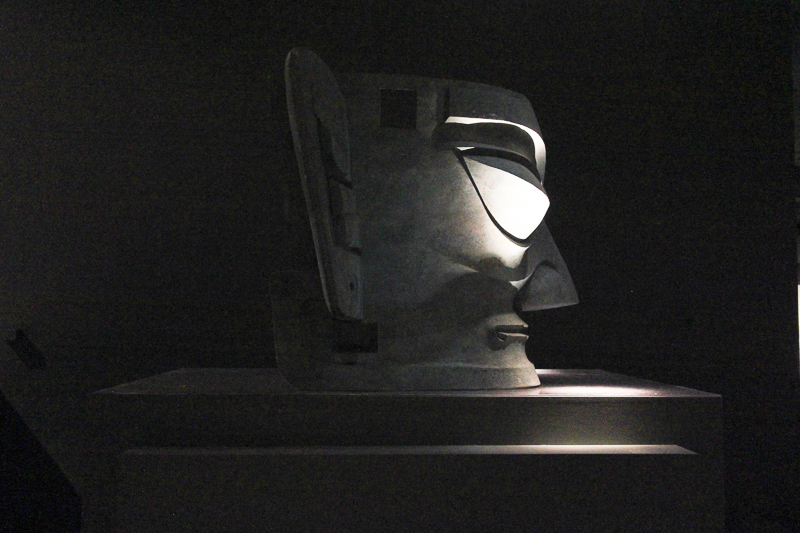 The masks, some small, some very large, seem to represent humans with bird-like qualities. 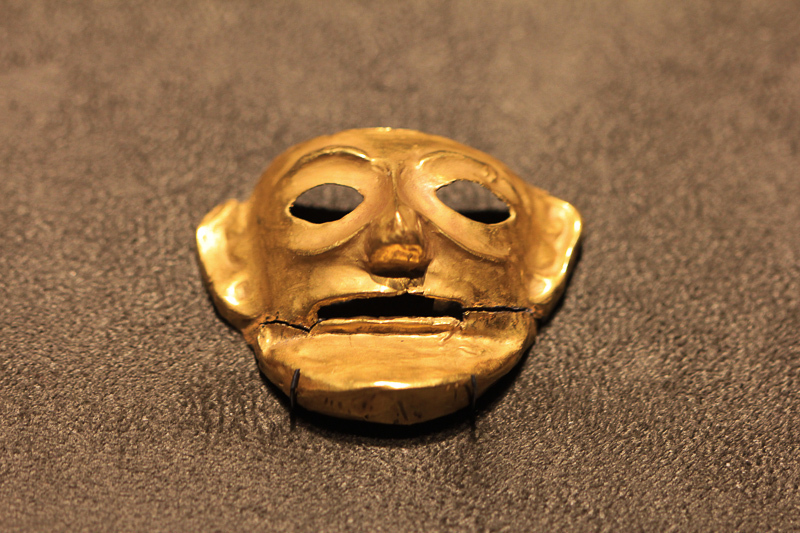 All are bronze castings and some are overlaid with gold. 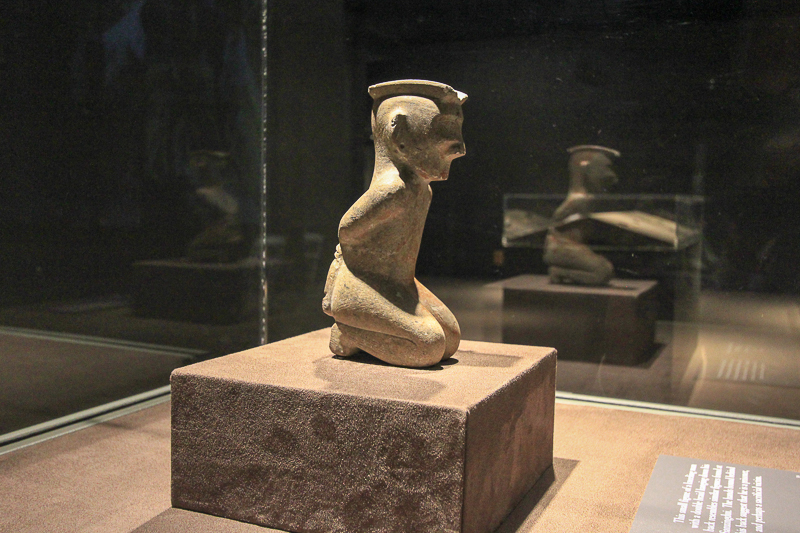 Unfortunately there is little known about this culture. 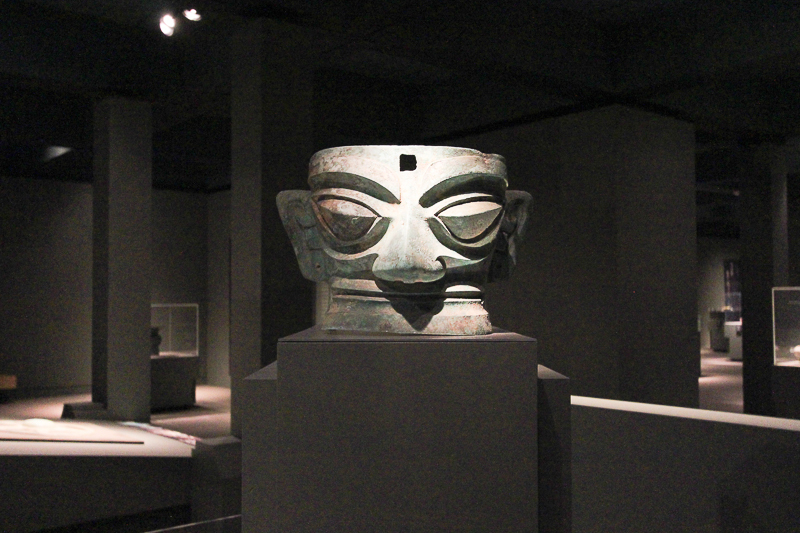 Some theories are expressed on the official Chinese web site, but the Sanxingdui culture may forever remain a mystery. 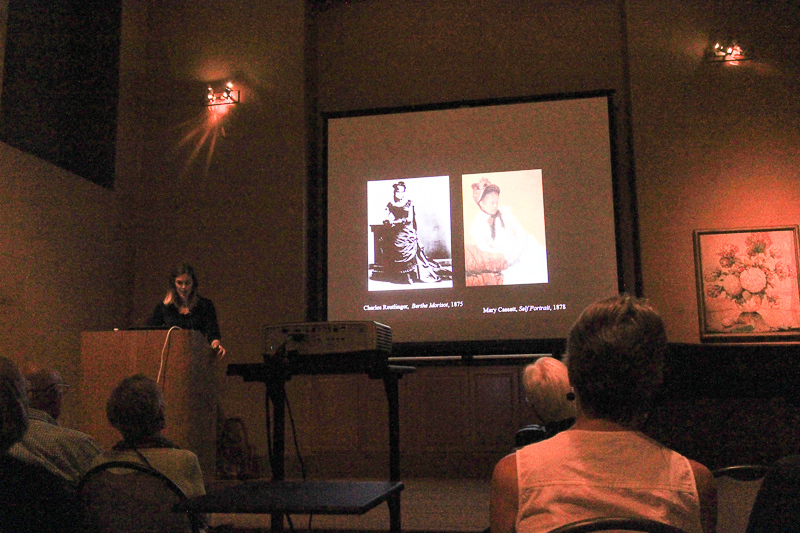 After visiting the exhibit, we attended a lecture here given by Annalee Andres on Urban(e) Considerations: The Feminization of Impressionism: Berthe Morisot and Mary Cassatt. 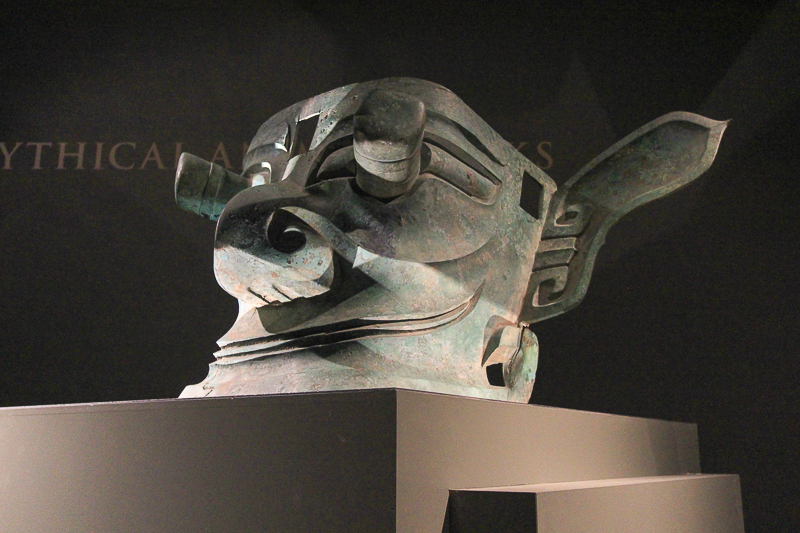 We had brunch at Norm's before going to the Bowers, so the only thing left for us to do was shop, both at their regular store and at the special pavilion that tied into the Sanxingdui exhibit. 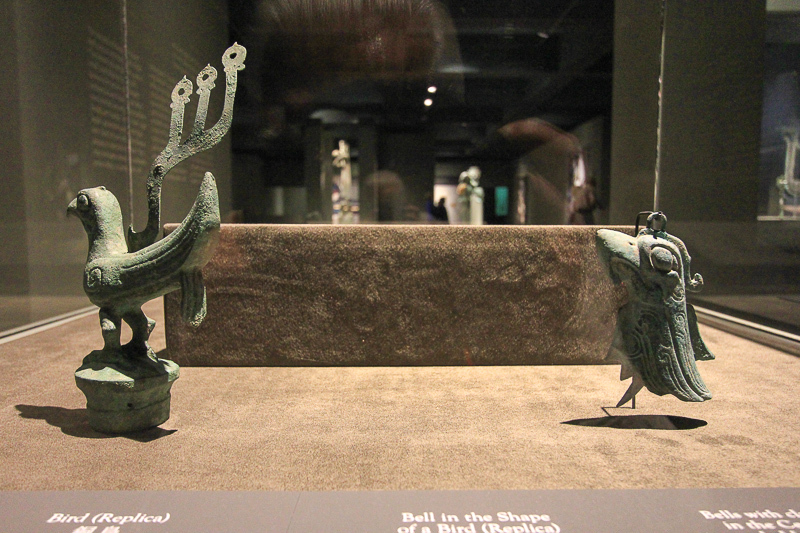 Shopping is always fun when the merchandise is unique and unusual!